If the mom in your life enjoys being treated like a queen (and what mom doesn’t), book a special Mother’s Day brunch for your whole crew. 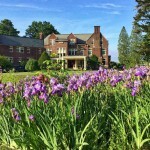 The Basin Harbor Club in Vergennes, Vermont, has a magnificent buffet planned with a huge selection of mouth-watering offerings like eggs benedict and blueberry ricotta pancakes. There will even be a separate mini buffet for the kids. The view from the lakeside dining room will make Mom feel very special and you get the credit for a wonderful meal. 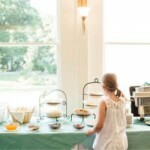 In Manchester, Vermont, make your reservations at The Perfect Wife Restaurant for an exceptional Mother’s Day Brunch Buffet from talented chef/owner Amy Chamberlain. The menu includes fabulous dishes like Broiled Wild Sockeye Salmon with preserved lemon and crispy onions and Crispy Buttermilk Fried Chicken Breast with Vermont honey drizzle and vinegar slaw. (You can preview the whole menu online.) But don’t wait too long to decide. Make reservations early before this event is sold out. You can even take Mom to brunch and give to others in need at the same time. The Mother’s Day Brunch at Bistro Henry in Manchester is also a fundraiser for Habitat for Humanity. Help a local family get their own home while enjoying an amazing three course brunch including an sumptuous dessert buffet. This is an 11 year tradition at Bistro Henry. If you want to be part of it, call for reservations today. Call the sitter and take your wife for a day of golf. Why not head to the course at Stratton Mountain Resort in Bondville, Vermont? The course offers 27 holes of varied terrain at the foot of Stratton Mountain. What a perfect setting to enjoy a day outdoors in the clear, clean Vermont air with magnificent scenery at every turn. 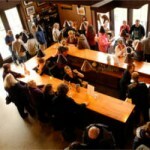 For something really special, take Mom to Shelburne Vineyard in Shelburne, Vermont, for a winery tour and wine tasting. Whether you’re new to wine tasting or a connoisseur, the staff will engage you with discussion of how the grape varieties are chosen and grown, how the wine is produced and what challenges Vermont wine makers face. After the tasting, you even keep the souvenir wineglass. Tours are offered at 1pm, 2pm, 3pm and 4pm. 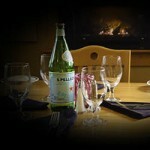 Consider the Stoweflake Mountain Resort & Spa in Stowe, Vermont. The Spa at Stoweflake offers 30 luxurious treatment rooms and over 120 signature healing and anti-aging remedies for mind, body, and soul. Why not stay the whole weekend? Stoweflake is offering special room rates for Mother’s Day weekend. Additionally, at Sunday Brunch, moms eat free. And there are even discounts on spa day packages. Or try the Essex Resort & Spa in Essex, Vermont for a spa experience which will relax and renew your special mom. Whatever the stresses in her life, you’ll be her hero for giving her this chance to unwind. With choices of massage, body and facial treatments as well as comprehensive salon services, who wouldn’t feel pampered and very special? 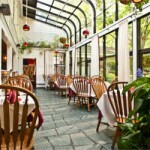 Pack your bags and get away to the Wilburton Inn in Manchester for their Mother’s Day Special. The package includes a room for 2 nights, Mother’s Day brunch (for 2), a complimentary spa bathrobe, a box of chocolates, sparkling mimosas, and Saturday yoga class (followed by cocktails). Plus there are no pet fees for your 4-legged children. Forget those run-of-the-mill department store gifts. This year give a gift that is uniquely Vermont. 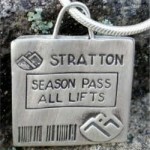 Consider a silver charm in the shape of a Vermont ski lift ticket from Izadorable or amazing made-in-Vermont jewelry from Abrau Jewelry. 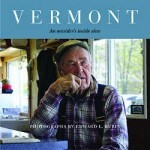 If memories made in Vermont are special for Mom, she would love the coffee table book, “Vermont An Outsider’s Inside View” by photographer Edward L. Rubin. And for a little whimsy, why not a teddy bear from the Vermont Teddy Bear Company? 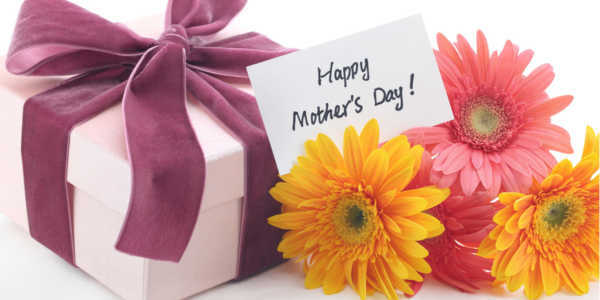 We hope these ideas are helpful in planning the perfect Mother’s Day for the moms in your life. We, at Vermont.com, wish you a perfect day and special memories. This entry was posted in Activities, Eat & Drink, Food, Now Trending, Shop, Stay, Things To Do, Uncategorized on May 2, 2016 by Linda Warner.